Keith-Thomas Ayoob is the director of nutrition services at the Rose F. Kennedy Children’s Evaluation and Rehabilitation Center and associate professor of pediatrics at the Albert Einstein College of Medicine of Yeshiva University in New York City, where he has maintained a clinical practice for over 25 years. Dr. Ayoob is active on the national scene having been an American Dietetic Association national media spokesperson from 1995-2004. Continuing to be sought by the media for commentary on topical health and nutrition research, he has given over 1,000 interviews on television, radio and in the print media. His extensive television appearance list includes NBC’s Today Show, the CBS Morning Show, CNN, ABC’s Good Morning America, ABC World News Tonight, and PBS’s Keeping Kids Healthy. Dr. Ayoob’s sound, consumer-friendly advice is also sought by food, and healthcare, and non-profit organizations. He is on several professional advisory boards, including the Children’s Advertising Review Unit of the National Advertising Review Council, and was recently appointed to New York State’s Children in the Performing Arts Advisory Board. He is frequently an invited presenter at numerous state and national professional conferences. In 2005, he authored the book, “The Uncle Sam Diet,” based on the 2005 US Dietary Guidelines. 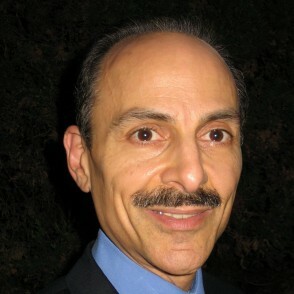 Dr. Ayoob earned his masters and doctoral degrees in nutrition from Columbia University, and received a bachelor’s degree in nutrition science from the University of California at Davis.